A couple of years ago I expressed my views on my rather ostentatious Contax T2… Well, guess what, these things are now worth more than my vital organs, so when I was offered a farcical sum for the device, I was already contemplating what to spend the gold coins on. 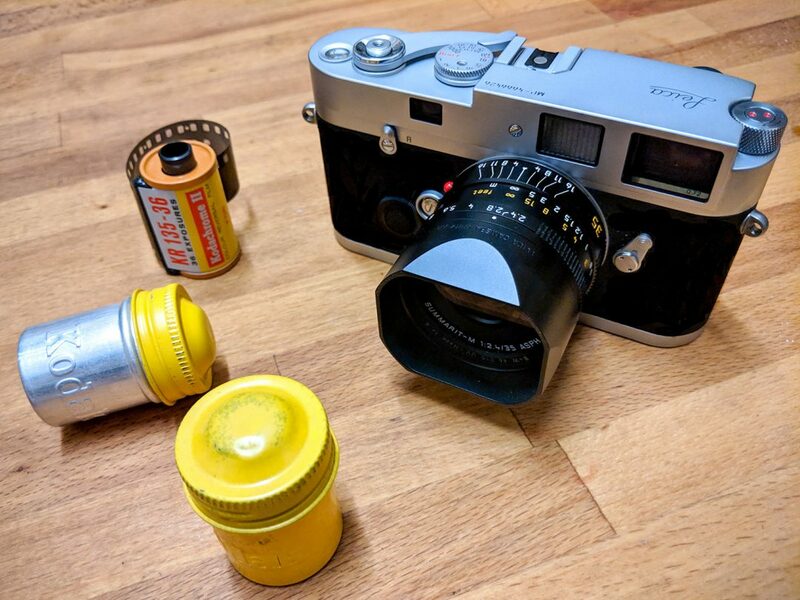 It transpires a limited edition Contaxt T2 with all its paraphernalia is the equivalent of a practically new Summarit-M 35mm f/2.4, a Yashica Matt 124g, and a pub lunch. I for one can’t refuse a good pub lunch, especially if it involves pie. Though for clarity, I don’t mean one of those evil rogue imposter pies that laugh at you from their non-edible ramekin suit and puff pastry hat. Back to the non-pie related photographic endeavours. The Summarit, is one of the least expensive (cheapest) Leica offerings. This variant now comes with the typical leather pouch and metal lens hood as standard. It’s a light lens at just under 200g but it doesn’t feel cheap in its construction, which you would hope considering its £1400 if purchased new. The apertures click just as nicely as my 50mm Summilux yet the focus is less dampened, lending to a faster focus throw without it being inaccurate. My only real criticism of the lens is that the focus distance is 80cm rather than the typical 70cm. The latest Summarit renders very clinically with no visible aberrations or distortion. You won’t get anything magical but nor will you have something overly characterful imposing itself on each of your images. This is very much a lens for those wanting clean and consistent results. 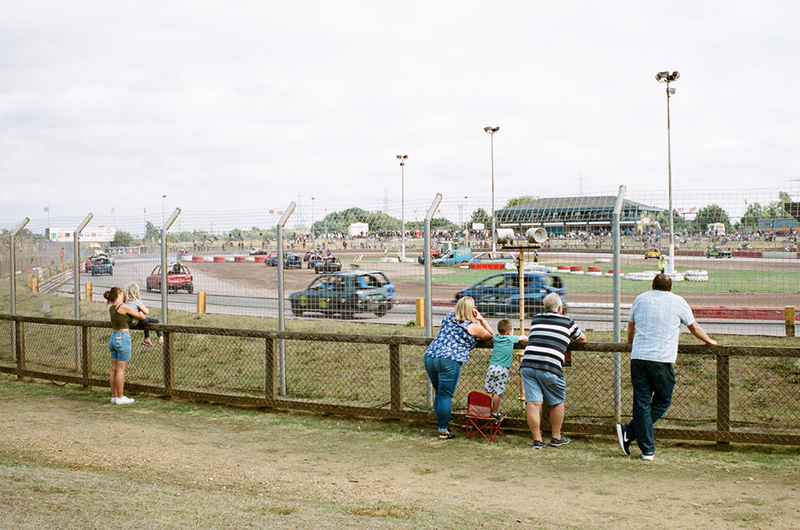 The five images here are from my first outing with the lens at one of the last “Banner Racing” events at the soon-to-be-demolished Arena Essex. 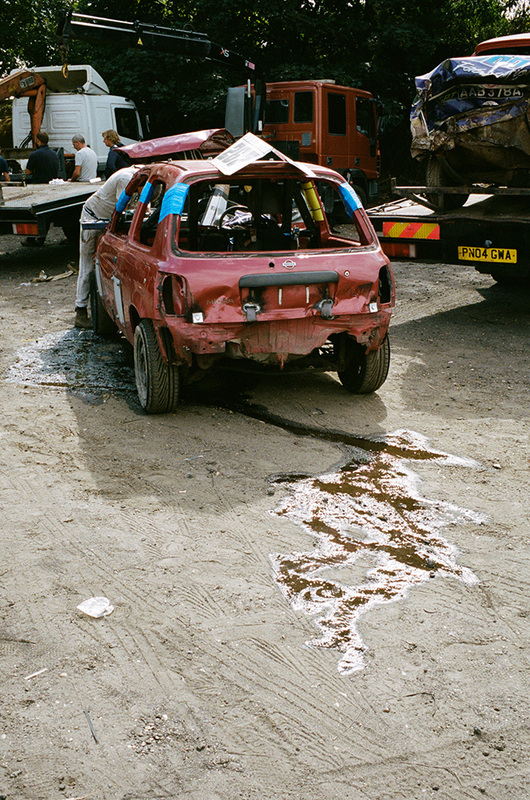 A few more random images can be found in my Leica MP review along with my social media. All images here are shot on Portra 400 with minimal post production. All in all I quite like the Leica 35mm f/2.4 Summarit, but it doesn’t feel that “special” in use, or in rendering. With other lenses I own the little person inside my head can equate the price with the feel or the qualities associated with fast glass – but with this you don’t have either, and although the lens is cheap for a Leica it’s still comparatively expensive compared to the Zeiss Biogon or the Voigtlander Color Skopar. If you did decide to buy the Leica however I don’t think you would be disappointed at all, and as the sale of the Contax covered the costs for me, I’m quite pleased I took the plunge with this very consistent and practical lens. 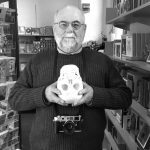 I agree with your assessment of the lens in one important area – that “You won’t get anything magical but nor will you have something overly characterful imposing itself on each of your images. This is very much a lens for those wanting clean and consistent results.” The lens does it’s job. You’re free to shoot in your style. The strength or weakness of a final shot is up to you, not a special glow or fuzziness of the background or any special characteristic of the optical formula. 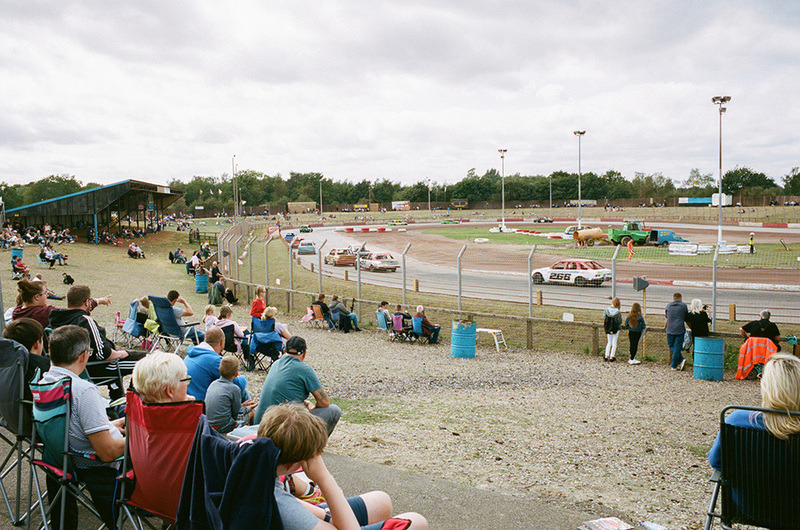 It’s not very popular this side of the pond compared to the various other forms of Motorsport, which has the led to the demise of the arena now earmarked for affordable housing (quite an issue in the south of the UK). Pie – well there has been a tendency to put casseroles in ramekins and cover them in a puff pastry hat. This has not gone down well as we tend to believe a pie should be encrusted in pastry all over. Thanks for your comments Daniel I share your sentiments totally. Because of its price, it’s the only Leica lens I have purchased NEW. It’s a great lens but for the price, I keep thinking I could have bought a good, used Summicron instead. That is a conundrum I shared. I mainly decided on this due to its small form factor for travel. Thanks Adam. Whew, I’m glad you cleared up the pie issue. Our daughter was taking summer classes in bookmaking/letterpress printing in London during the summer of 2017. We flew over to spend some time with her. We just loved trying out different pubs around London and I’m glad to say we did have authentic pies…and Cumberland sausages, etc. We didn’t want to be ugly Americans…I even refrained from asking for ice. I’m glad I could elaborate and hope the imposter pies don’t find their way to your shores. I hope you all enjoyed your experience in London. I know a few book/paper conservators who started their careers in very much the same way (I work at the Natural History Museum in London) if that’s an avenue she is considering. By the way the comments on the ice made me laugh. I’ve never encountered any problem taking candid photos in London and the UK…if anything, the process has always led to a nice conversation. 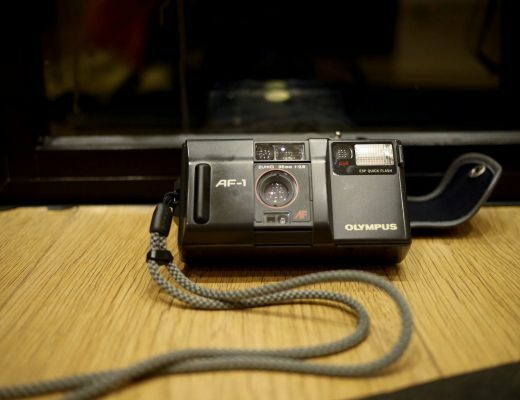 I am using the summarit as my only lens, initialy on my M-d and M240 and now on my M-a. I disagree with your analysis as I had all the summicron from version 2 to the last one, and prefere this summarit on digital and now film. it is ulra sharp , has enough 3d and micro contrast and is for me a better than the new summicron. I compare it to the excellent 35mm voigtlander 1.5 nokton witch is one of the best lens for digital M on the market but a bit pain to operate with no focuse tab…. ( soon come a new 35 mm f2 nokton). Having both the initial summarit and the new one I can tell you that despite it is the same formula the new one was 5 time better than he old one. 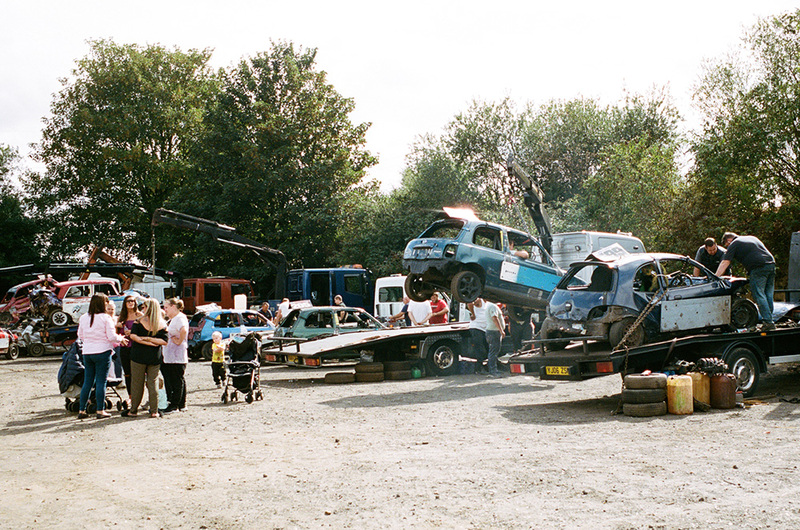 On triX film it is sharp and punchy …. the design is ultra modern and it is very well build . 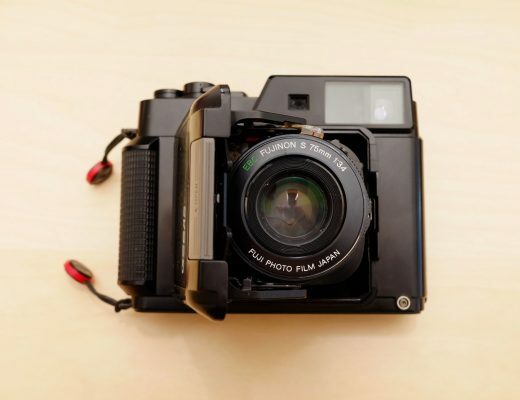 this is the new summicron for digital in the 1990 sens…. the lens you should get with your m240/ M10. on film, of course we don’t need this last generation wich are micro calculate for digital sensor. 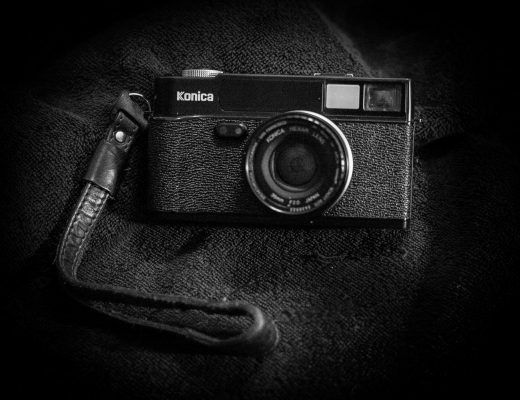 so an old summicron is a good alternative, but only if it is far cheaper. because nothing is as best as a new lens. Thanks Francois, I’m not to sure what specifically you disagree about my musings as I wasn’t negative about the lens at all but I’m glad you’re getting on well with it. For travel and general use I don’t think you can ask or want for more.